The tools you need to choose a good Immigration advisor. 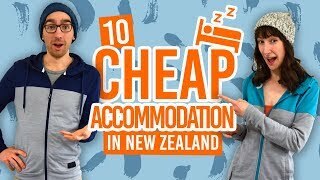 Wanting to stay in New Zealand a bit longer after your studies? Your work visa is about to expire but you want to continue working? 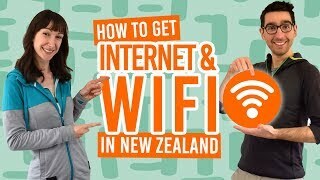 Or want to bring family to live with you in New Zealand? With loads of different visa types and conditions, it can be difficult to determine what you need to do in order to stay in New Zealand. When you are unsure on what to do when it comes to applying for a visa for New Zealand, an immigration advisor can help. As the largest city in New Zealand, home to the largest international airport in New Zealand, and by having a diverse population of migrants, Auckland is a hub of immigration advice. But the question is: where to get immigration advice in Auckland? This guide will give you tips on how to find a good immigration advisor in Auckland. As there are literally tens and tens of immigration advisors in Auckland, and new ones cropping up all the time, this guide will give you all the tools you need to choose the right immigration advisor for you. Do you need an immigration advisor? However, there are a number of reasons why you might want to hire an immigration advisor to help you with your visa application. If you or family members have a health or character issue. Under New Zealand law, you must use an immigration advisor that is licensed by the New Zealand Immigration Advisors Authority (IIA). Check that your chosen immigration advisor is license at the IAA website. There is a page on every visa application where immigration advisors must give their details. Using an illegal immigration advisor may result in your application returned to you. Lying on your immigration documents is an legal offense that may affect future visas or jobs. education agents who provide immigration advice offshore in relation to student visas only. For a full list of exemptions, see the Immigration New Zealand website. Sign an agreement with your immigration advisor stating what services they will provide and how much the service will cost. (This is a common process, so avoid the immigration advisor if they refuse). Communicate directly with the advisor. How much will an immigration advisor cost? There are varying fees for immigration advisors. Immigration advisors will give you a quote depending on the circumstance. For this reason, we recommend getting quotes from several immigration advisors to determine what is a “fair” price. The first place you should go when you have questions about immigration is Immigration New Zealand directly. Before you pay for an immigration advisor, you may find that your questions can be answered by the team at Immigration New Zealand. Note that this address is for an application drop-off service only. Immigration New Zealand do not provide a counter service in Auckland. The offering of immigration advisors in Auckland is changing all the time, so with an interest of keeping this article up to date, we will not list specific advisors here. However, it’s nothing that a quick Google search can solve. Just remember to use the tips given in this article to find a reliable immigration advisor in Auckland.